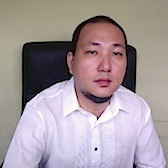 I'm a web application developer, certified as a Zend engineer in PHP and an experienced IT head (front-end and back-end) from the Philippines. Remembering the time I first came across a computer which absolutely blew my mind off with how amazing that piece of technology and what it can do of which I wrote my first programming application using MS BASIC language operating on a MS Windows v3.11 OS running at 333Mhz CPU O_o... it was epic! Since then I told myself this is going to be the future (as few believed and most didn't), here it was. Despite of the willingness to continue learning more, wasn't fortunate enough to pursue proper college. Despite I was a scholar, things didn't worked out right due to peers and hey, I was still young and reckless. But, thru hard times I evolved became a man and realize then that it is time to get serious and so got a chance to continue school on computer programming. With COBOL (old-school mid-level) and a better MS Visual Basic languages running on a much faster computers I enhanced more my knowledge on this young but promising technology with a GPA of 92.0/100 at STI-Malolos. Graduated and tried things out on the field knowing that there are more than meets the eye, got a chance to experience in's and out's of the computer, not just by writing codes on it but on how to build and maintain one. More and more years came, I learned a lot writing Windows desktop applications both in-house and project-base local and offshore. I'm a Zend Certified Engineer on PHP web scripting language, passed examination (as part of formality) on August 29th of 2012. With strong knowledge on Functions, Data Formats/Types, Web Features, OOP (Object-oriented programming), Security, I/O, String/Patterns, Databases/SQL, and Arrays. I've been using this for almost a decade now. Sufficient knowledge on front-end development UX (users-experience) and understanding of interactions between presentations and data. A good front-end can not be achieve without a good back-end development and structures from API's and Databases. As once an I.T. Director, thus skills for developing, implementing, and supporting information technology as it planned is also my strongest. I'm trustworthy, I'm proactive and have initiative to get the job done base on appropriate working steps. I always think for room of changes as long as required and will benefit. Committed to issues and get it resolve asap. I strongly understand clients and have room for improving service. I have sufficient written communication skill and have always room to improve verbally. I can collaborate firmly with other teams. I'm willing to work hard even harder to find solutions and even if it will take longer working days and nights (if you enjoy working a lot, you'll not notice you haven't slept for days). I wanted to succeed. All of these thus far adding leadership as my one of my best skill. On a more global source that can be targeted nowadays, embracing enterprise architecture and analytics is a key skill, thus I'm still improving it more as the time goes by and I believe that there are always have room for learning and how you can use it as a tool to help you achieve a goal. Country head and Director for company's Integrity and Support Dept. on Intranet, Data, Support and Quality. Entrusted managing teams to ensure resolution on critical issues on a timely manner. Assures that every available workforce are available on emergencies and similar needed scenarios. Assisting part on planning/building/developing internal system applications within and related to Intranet including Data integration. Country Head for the Philippines and Director for company's Information Systems department. Which manages all aspect on development both front-end and back-end infrastructures. 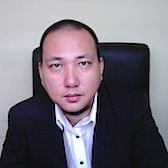 Main author/architect/programmer of all systems and web applications developed within and for clients of the company. Applications such as SMS-driven integration from web and mobile applications thru advanced API's and Web services. More detailed services as Consumer Products are described at www.golivemobile.com like Concierge, Instaconnect etc. Assures studying, planning, and implementation of policy for the organization regarding installations, securities, back-ups, and quality standards both for delivering and maintaining applications. Rustan's Supercenters, Inc. via Software Labs, Inc. Develop Fix Asset requisition module for the entire Shopwise and Rustan Supercenters, Inc.
Purchase Order and Issuance system for fixed asset/ Non-Regular Items (used in all Shopwise Hypermart and Rustan’s Express lanes, Big Fresh outlets). Responsible for System Analysis and Design of Supplies Management System(SMS). Maintenance team and upgrades on Ronco (Ron Popeil Shop On-Line) Web site. Developed On-Line Resume Bank of Mind Dragon for future applicants. Developed On-Line Call Details Report for Local and US Calls made by employees and clients of the Company. Developed Ticket Breakdown/Agent Email Handled Page for admin purposes. Developed Time-Billing System for HBLM's sister companies. To design and assist of the development of On-Line web sites for HBLM and other sister companies. Minor participation in developing Hudson’s Bay Hongkong and Taiwan Billing Summary Web site. Minor Participation in developing system for Hudson’s Bay Warehouse from Purchasing, Receiving and Sales. Minor participation in developing HBLM Online Web Catalog through web using PHP, Visitor Tracking. Major Participation in the development of proposed Online Payroll System. Maintain, troubleshoot and upgrades companies’ network of computers. Supervises the companies Rural-Micro Finance Grameen Management Information System Application (RMGMIS) as data processing software for Registrations, Loan Applications, Loan Releases and Payments of Coop-Members used for daily operations and other financial needs. Conducting reports to be submitted like Statement of Expenditures (SOE’s), Financial Statements (FS’s), etc. generated by the RMGMIS Application. Debug and recompiles existing Finance Application (RMGMIS) for obtaining full error-free, access of information. Developing other software applications that adopts and relates to other cooperative faction loan programs. To monitor daily operations and maintain system networks accessibility especially when gaming is concern. Accepts hardware repair and software installations for PC users. Accepts home service repairs as well. As a freelance programmer, I've created a lots of programs for or from students projects. Even our own TIME-IN/COMPUTER RENTAL SYSTEM. Managing day-to-day operations and workstation maintenance. Accepting projects and development of software applications both for Microsoft DOS and WINDOWS-based platforms. Encoding of data needed for the new system that is being implemented. Since the old system was created in Clipper 6.0 (a DOS-based programming language), the company needed a much up-to-date system using Visual Basic 6.0 (WINDOWS-based program). Assisting in the identification of errors during the trial-and-error of the newly created program (Visual Basic). As a programmer, I was be able to identify bugs (error) on its LOGIC and RUN-TIME state. Maintenance of the newly assembled networking system and new PC's used by technical employees covering from the Accounting, Material Management Department, Production, and Quality Control. Supervises encoders who are inputing data that are essential to the newly developed system. Upkeeps, troubleshoot and upgrade companies’ network of computers.